Pope Francis on Friday told Christians the memory of their origins and of their sins must accompany them throughout their lives. 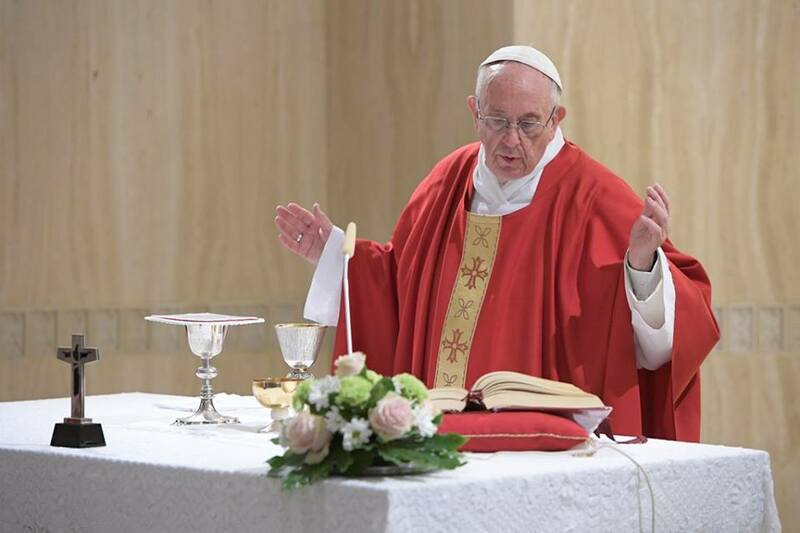 Speaking to those gathered at the Casa Santa Marta for Holy Mass, the Pope reflected on the liturgical reading that tells of how Jesus invited Matthew, the tax collector, and other sinners to join him at his table. Describing the tax collector Matthew ’s reaction to the Lord’s call, the Pope said he did not dress in luxury, he did not begin to tell others “I am the prince of the apostles, I issue orders… No! He lived the rest of his life for the Gospel”. When an apostle forgets his origins and starts off on a career path, the Pope explained, he distances himself from the Lord and become an ‘official’. An official who perhaps does a good job, but he is not an apostle. He is incapable of ‘transmitting’ Jesus; he is someone who organizes pastoral projects and plans and many other things; he is what he called an “affarista” - a “wheeler-dealer” - of the Kingdom of God because he has forgotten from where he was chosen. That’s why, Francis continued, it is important to preserve the memory of our origins: “this memory must accompany the life of the apostle and of every Christian”. Instead of looking at ourselves, Pope Francis said, we tend to look at others, at their sins, and to talk about them. This, he said, is a harmful habit. It’s better to accuse oneself, the Pope suggested, and keep in mind from where the Lord chose us from. “When the Lord chooses it is for something great. To be a Christian is a great thing, a beautiful thing” he said. It is us, the Pope said, who distance ourselves: “we lack generosity and we negotiate with the Lord, but He awaits us”. When Matthew was called by Jesus he renounced all to follow Him, the Pope said, noting that he invited his friends to sit with Jesus to celebrate the Master. At that table, he said, sat “the very worst of society. And Jesus with them". The doctors of the Law, Francis continued, were scandalized. They called the disciples and said: "Why does your teacher eat with these people? Eating with some who is unclean contaminates you”. But, Jesus heard this and said “Go and learn the words: ‘I desire mercy, not sacrifice’. “God's mercy seeks everyone, forgives everyone. The only thing he asks of you is to say: ‘Yes, help me’. That’s all” he said. To those who were scandalized, Pope Francis concluded, Jesus said that “those who are well do not need a physician, but the sick do”. "The Lord's mercy is a mystery; God’s heart is the greatest and most beautiful mystery. If you want to make your way to God’s heart, take the road of mercy, and allow yourself be treated with mercy”.